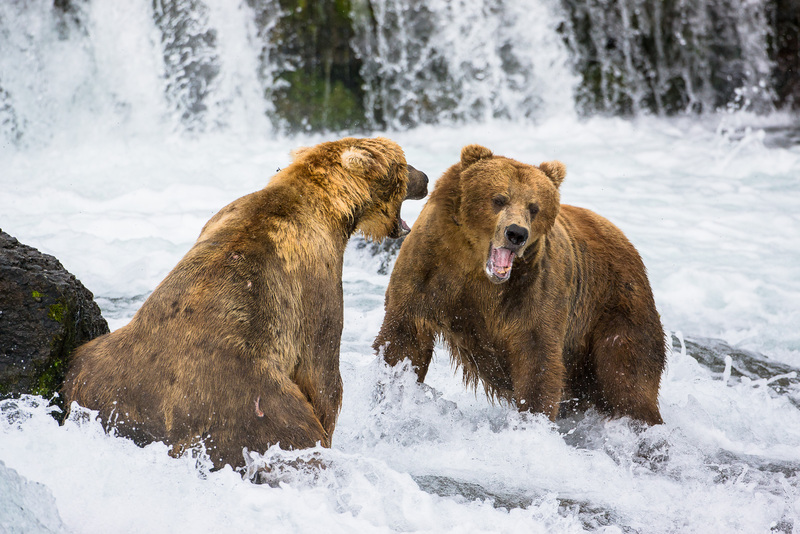 A fierce territorial battle between two grizzlies over fishing rights erupts. Although, most battles are full of intense posturing as they try to avoid real skirmishes during the precious short feeding season. Photo © copyright by Lance B. Carter.